A 0.240-kg billiard ball that is moving at 3.00 m/s strikes the bumper of a pool table and bounces straight back at 2.40 m/s (80% of its original speed). The collision lasts 0.0150 s. (a) Calculate the average force exerted on the ball by the bumper. 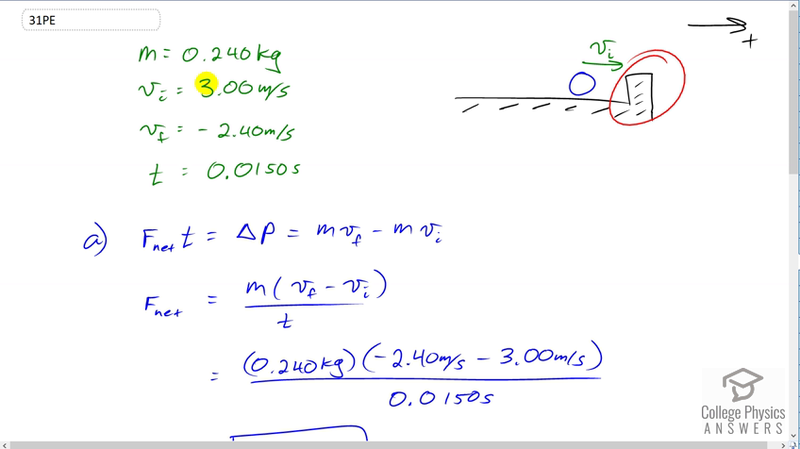 (b) How much kinetic energy in joules is lost during the collision? (c) What percent of the original energy is left?